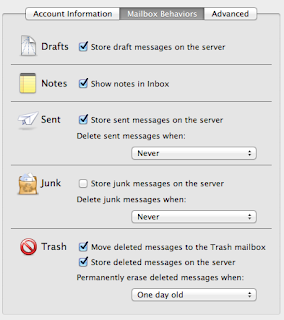 First, there is nothing to configure in the actually Google Apps Web mail interface; it is all done in the Apple Mail on your Lion. 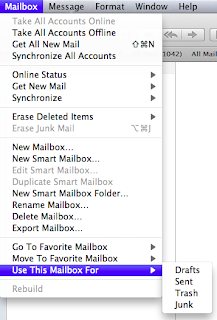 Step 1: Go to Apple mail preferences ("Command" + ","), click on Account, select the Mail account you want to fix and then go to "Mailbox Behaviours". Set it as you see it here on the screenshot. Then close the Preferences. 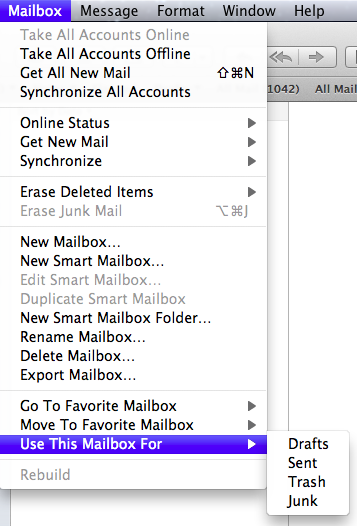 Step 2: Expand [Google Mail] folder under your account, Click on "Sent" and then select Mailbox menu -> use this mailbox for -> Sent. repeat this for folders Trash and Drafts. 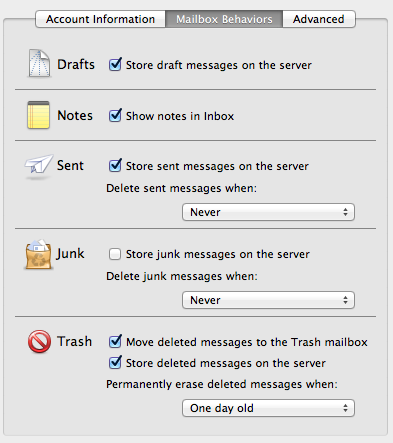 Note that I do not use Junk capability on Apple mail as I believe the Google does an excellent job with the junk mail.